We’ve generally been really lucky with the weather this summer holiday but a rainy day at the end of last week was screaming ‘make a cake’. 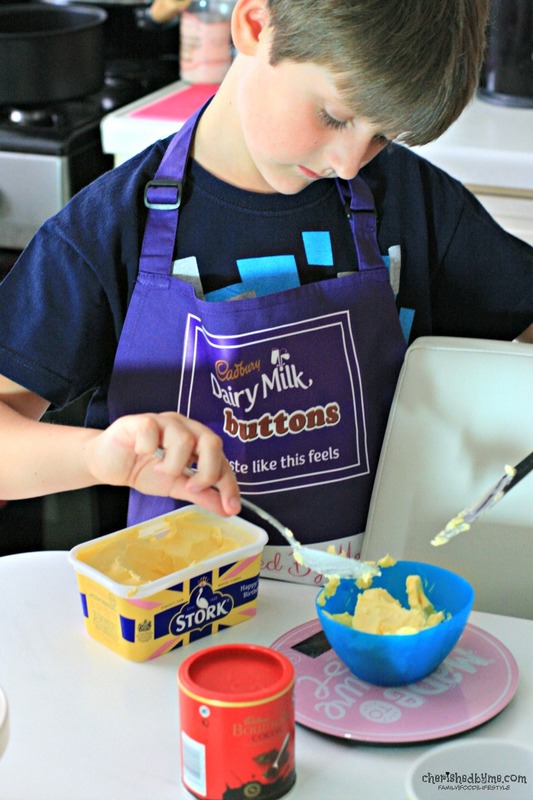 I had been dying to have an excuse to make a Cadbury Dairy Milk Buttons Owl Cake after being sent a bag full of goodies with the ingredients and a personalised apron for M, aged 9. 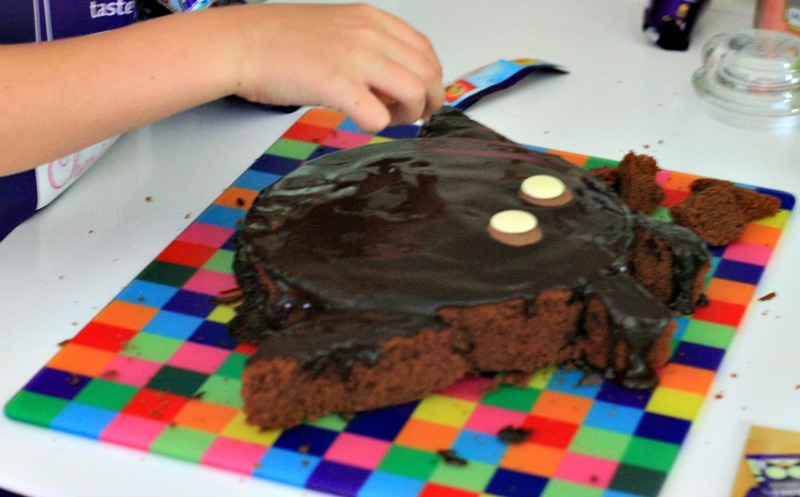 This Cadbury Dairy Milk buttons owl cake looks fab, will make a great birthday cake or just because and even better it is so easy to make. Crush the flake in it's packaging and then use to create feathery wings and ears. Use the milk chocolate and white chocolate buttons for the owl's tummy. Finish off with a Cadbury's Maynards mix up raspberry jelly for the owl's beak. 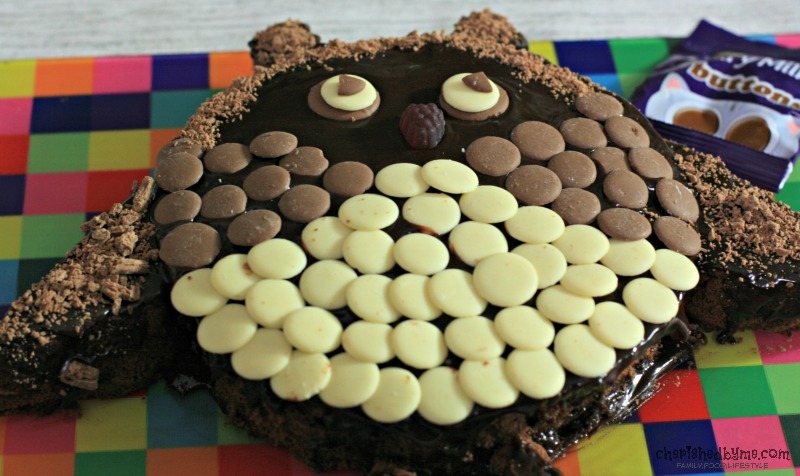 What a great way to get children into the kitchen, my son loves cooking and he was very proud of his Cadbury Dairy Milk chocolate buttons owl cake. 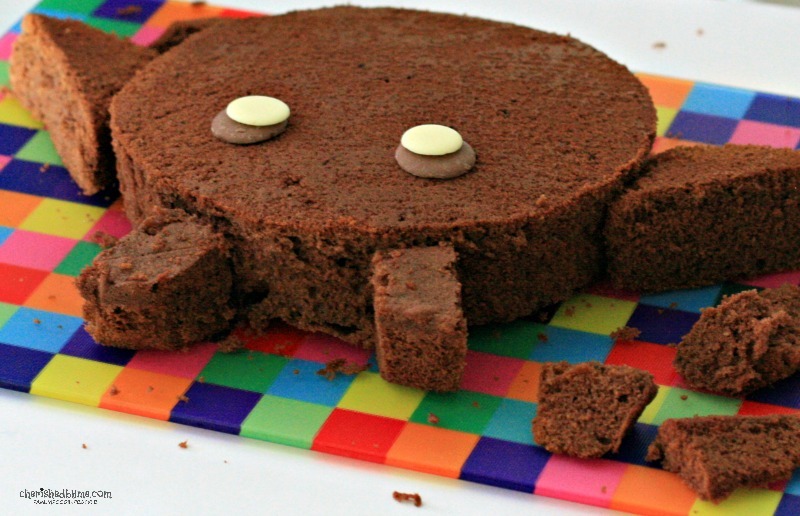 It was very tasty too…and we were all so keen to have a slice of the cake I forgot to take a photo of M and his masterpiece! 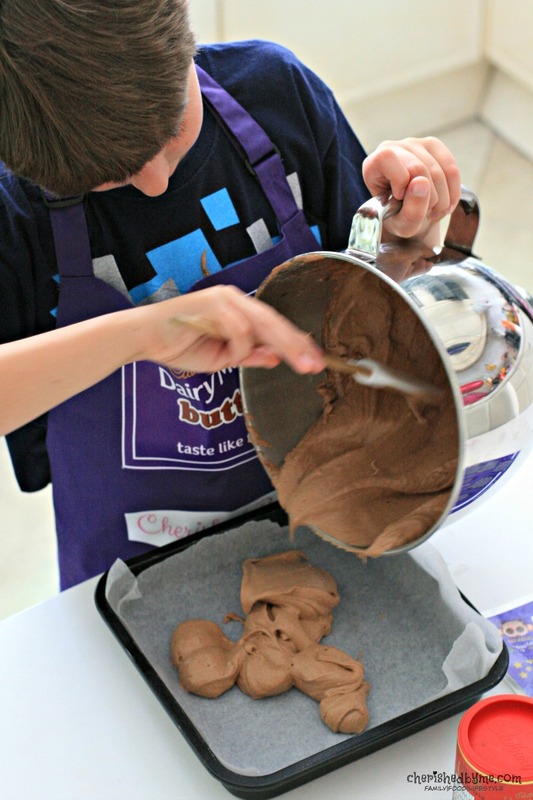 Thank you to Cadbury for sending us the goodies and inspiring us to make this gorgeous cake!